After Juno Mission To Jupiter, What Comes Next For NASA? : The Two-Way Enjoy Juno's trip to Jupiter — after that we'll see a little gap in planetary science missions from the U.S. That's because a NASA budget crunch several years ago left fewer missions in the pipeline. Congress is requiring NASA to travel to Jupiter's moon Europa by 2022. Currently, it is the space agency's only new mission planned for the outer solar system. The exploration of our outer solar system is about to hit a real slump. NASA is celebrating Juno's arrival at Jupiter, but in less than two years, Juno will be gone — it's slated to plunge into the gas giant and burn up. The Cassini spacecraft, now orbiting Saturn, will meet the same fate next year. "It'll be the first time since the 1970s that there will be no NASA presence in the outer planets," says Casey Dreier, director of space policy at The Planetary Society. "For the first time in 40 years, the lights will go out in the outer solar system." NASA does have some upcoming missions closer to home. In September, one mission will go off toward an asteroid, aiming to return a sample to Earth. And there are a couple of missions that will go back to Mars: a big rover in 2020, and a lander that was supposed to launch this year but got delayed until 2018. "The only reason we have any mission between now and the next four years, essentially, is because one mission missed its launch window," says Dreier. "So there is a real precipice that we're approaching." Usually NASA has one or two launches of planetary missions a year, says Jason Barnes of the University of Idaho, who chairs the division for planetary sciences of the American Astronomical Society. "Basically we're suffering now from what were budget cuts to the planetary budget that started in 2013 with the sequester," Barnes says. NASA's planetary science budget got slashed by about 20 percent, and managers scrambled to save missions that were already underway. Barnes says almost all planning for future missions was put off. "No missions were able to get started during that sort of 2013 to 2015 period," he explains. 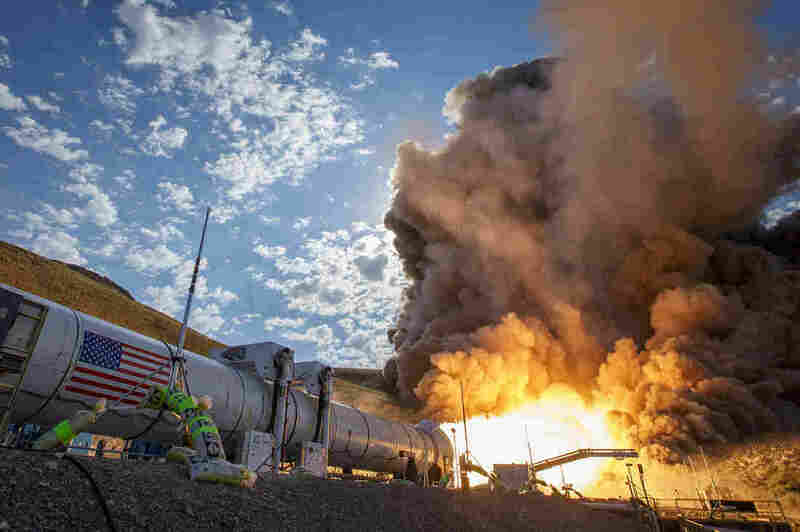 NASA is building a giant rocket it hopes can carry astronauts into deep space. Planetary scientists could also use it to send unmanned probes to the outer solar system. NASA is now trying to whip up some new adventures, and Congress is getting involved here, too. 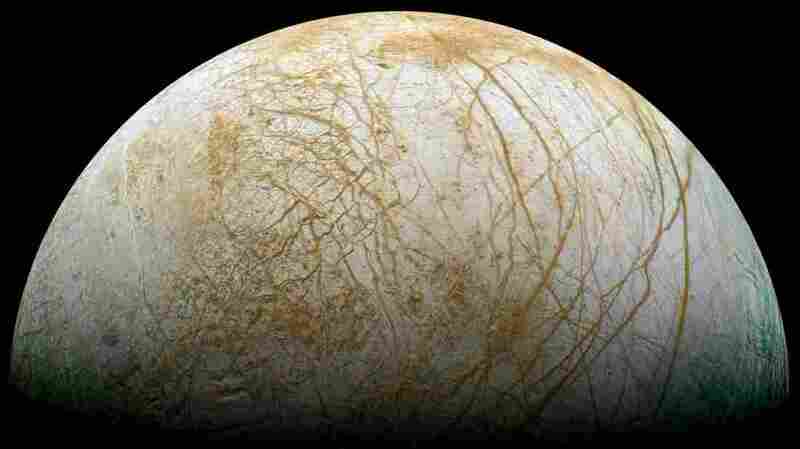 Lawmakers recently ordered NASA to visit Europa, an icy moon that orbits Jupiter. It may have vast underground oceans, making it an intriguing place to look for life. Last year's final appropriations act required NASA to launch a Europa mission no later than 2022, says Dreier, who notes that "people kind of jokingly refer to it as the only mission that would be illegal for NASA not to fly." And the law doesn't just say go to Europa. It says go there on a certain rocket — one that Congress demanded that NASA build after the retirement of the space shuttles. "It's the most powerful rocket humans have ever built. It will take astronauts to Mars," says Jim Green, the director of the planetary science division at NASA. Planetary scientists have many worlds they'd like to visit, including Saturn's moon Titan, which has lakes of liquid methane on its surface. In the past, critics have argued that this massive rocket is too expensive and won't fly astronauts often enough to make sense. "If they can't fly humans enough on this rocket, what's this rocket going to do every year, or twice a year?" asks Dreier, who notes that this presents an opportunity for planetary science. "It has an enormous power and capability. Human exploration will be developing these and they want to stay proficient, and so launching unmanned probes, particularly to the outer part of our solar system, might indeed be a good thing for everyone," says Green. Places far out there, like Europa, might be good targets because this big rocket can get there in less than three years, instead of the usual seven or eight. "I'm delighted to say we're going to Europa. Whether the law helps us there, or not, our plan has always been to go to Europa at some time or another," says Green. There are other places in the outer solar system that NASA would like to visit, too, such as Saturn's moon Titan, which has lakes of liquid methane. And another moon, Enceladus, clearly has an underground store of water. "We see geysers coming out of the southern hemisphere," notes Green. Early next year, NASA will put out a call for proposals for a new, medium-sized mission. 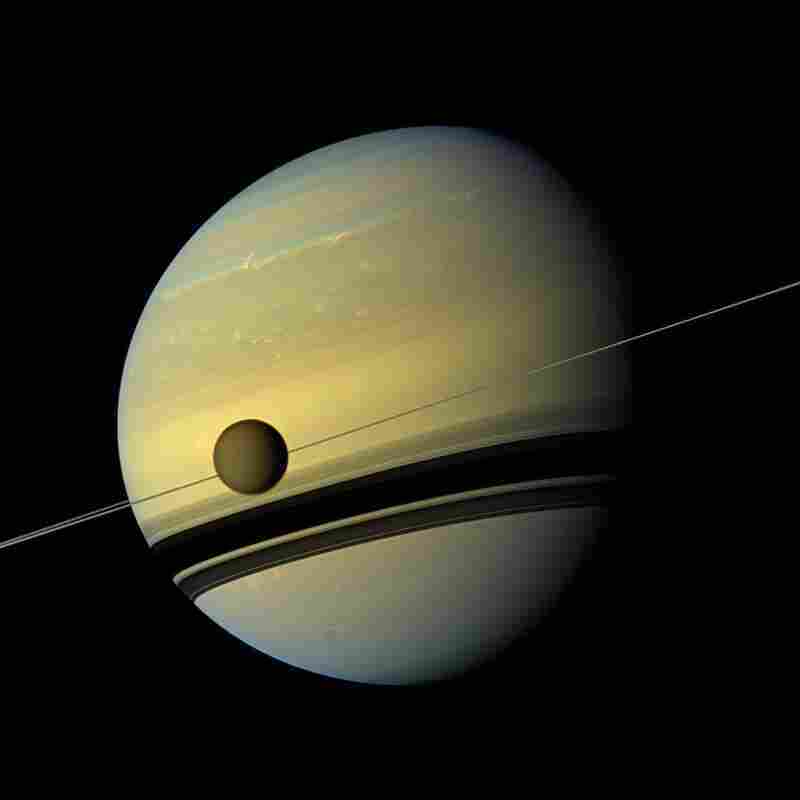 Both Titan and Enceladus were recently added to the list of possible destinations. The agency is also currently mulling over five options for a smaller mission that could fly as early as 2020. Those include proposals to study Venus, near-Earth objects and asteroids.